Yipes, what a day I had yesterday. My son had a MD appointment 30 miles from home and the rain turned to snow as we were leaving. Getting there wasn't so bad, but coming home, my windshield wipers were collecting ice and I couldn't see. As luck would have it, at one point we had to stop to wait for a train and I had time to pop out of the car and de-ice. Driving in the stuff wasn't bad, but not being able to see was a bit of a challenge. Guess I need to get to the auto supply store for some new winter wipers! Now, on to the stamping news! I hope you were able to take advantage of the door buster deals yesterday. If not, there are LOTS more deals to had. Click on the photo above for a listing of all sale products! Fill in your Wish List and then click here to complete your shopping! 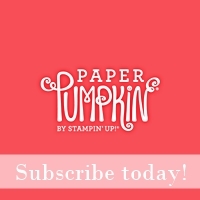 Want to get 6 months of Paper Pumpkin for FREE? Join my Stamping Mates and for $75 you can choose $125 in product, including the Paper Pumpkin! Click here for more details. Wow! 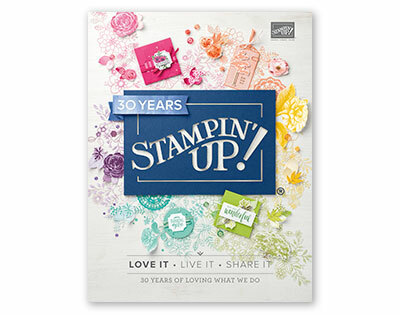 Lots going on in the stamping world! 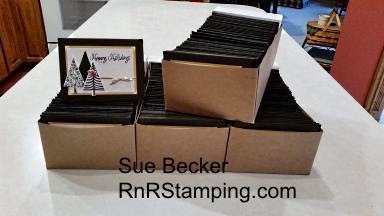 My stamping world has revolved around completing a holiday card order and yesterday the 200 cards were delivered (in the snow). I included a goodie bag of items made for my vendor fair. Before heading out on my delivery, I made a quick tea light lantern using our vellum card stock embossed with snowflakes to add to the bag. I had one working tea light left in my stash and found, when I turned it on, that it changes colors - how fun! I was in such a rush to get out the door that I didn't get a photo of it - boo! Here are my cards, ready to go. 400 stamped trees, 600 punched trees, 1,000 rhinestones, 200 bows, 200 fussy cut cardinals and I don't have any idea how many Dimensionals. You're likely thinking, "Is this woman crazy?". I make these for a friend of mine and this year let him shop on my Pinterest page. Next year I need to limit the choices! They were fun to make and as I'm not working right now the project was doable. 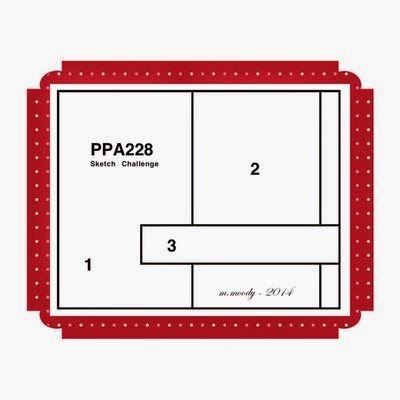 One other project I managed to sneak in was the PPA challenge for this week. This is a quick, easy layout that came together in a snap using Flowerpot DSP. 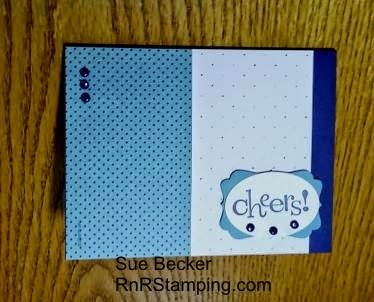 I cropped the sentiment from Happy Hour with the Decorative Label punch, added a few candy dots and I was good to go! Goodness, so much going on. I also started working on my Christmas cards; I'm using the Ornamental Pine set and CASEd a beautiful card that I'll share with you when it's completed. Thanks for sticking with me through this long post. Good grief, Sue! You have been busy! So glad you found some time to play along with us at the PPA sketch challenge! !